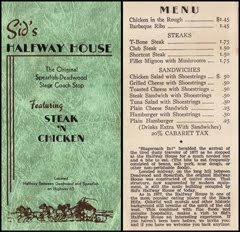 For many weeks now, several members of the Spearfish Area Historical Society and the Spearfish Historic Preservation Commission have been busy tracking down and reviewing old photographs. 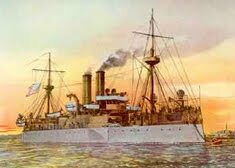 The exercise is aimed at coming up with a collection of images that can be displayed during the Spearfish anniversary celebration this summer. 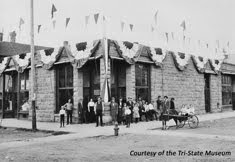 Just which anniversary we'll be celebrating is a point of some contention -- but we WILL be celebrating Spearfish history, and we trust some of these photos will help to bring the past alive. 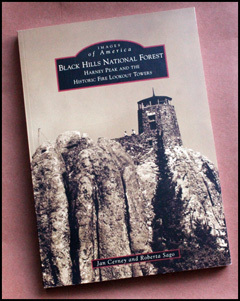 While most of the images we've examined have come from the Fassbender collection housed at the Homestake Adams Research and Cultural Center in Deadwood, the Case Library collection at Black Hills State University has been a surprising and very rich depository of photographs that help to reveal the history of Spearfish. 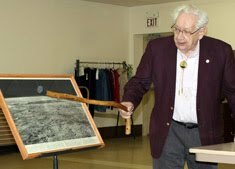 And this would be a good time to express gratitude -- especially to Bobbi Sago at Black Hills State University and Richard Carlson with the Fassbender Collection for their many hours of helping us find and interpret historic photos pertaining to Spearfish. Some of these photos have started appearing in the Black Hills Pioneer newspaper, and you'll see more exhibited in City Hall and other locations in coming weeks. We thought it would be fun to share one of these images with you here (above). This one comes from the Baxter photo collection housed at the BHSU Case Library. 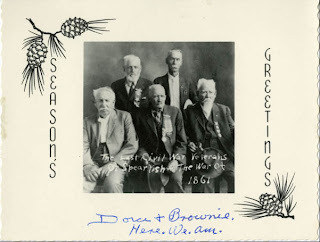 It's an undated holiday greeting card containing a photograph of The Last Civil War Veterans of Spearfish. As we showed this image to veteran historian Linfred Schuttler and others, they recounted having seen the image before, and perhaps even had the names of the veterans listed somewhere. 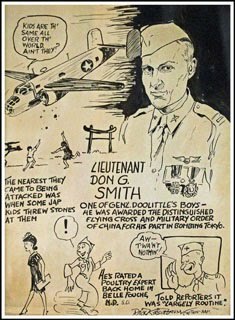 However, it was Dorothy Honadel who first came up with the names listed here -- and we've added a bit of information that we've been able to unearth. If you have additional information or corrections to what's listed, please drop us an e-mail! 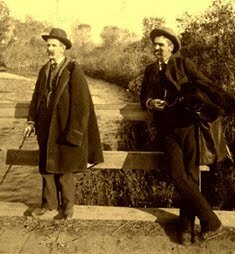 Standing (left-to-right) in the photo are Wilson Williams and William Crist. Seated are Thomas McEveny, Giles Fish, and James Manwaring. Click on the image to see a slightly larger version. 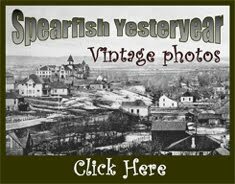 Or better yet, see a sharper version of this and other historic photos in our Spearfish Yesteryear Gallery. In researching these gents, we learned that Thomas Fletcher McEveny (seated at left) was born in Missouri in 1841. He served as a Corporal in Company H of the 6th Iowa Infantry during the Civil War. Born in Missouri in 1841. He was 87 years old when he died in 1928 in Spearfish and is buried in Rosehill Cemetery. Giles Murray Fish (seat in the center) was born in 1847 in Washington County, New York and enlisted for service in Wisconsin. A Private during the Civil War, Fish was a part of Company M of the 3rd Michigan Cavalry. 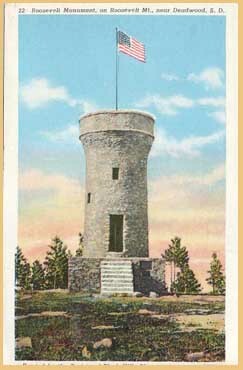 He died in Spearfish in 1926, and is also buried at Rosehill. And the gentleman seated at right is identified as James R. Manwaring, born in Missouri in 1843. After the Civil War, he showed up in the 1890 census in Parkston, South Dakota. 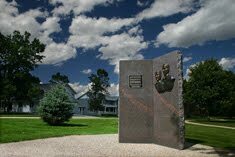 Like McEveny, Manwaring was 87 years old when he died in Spearfish in September of 1929. 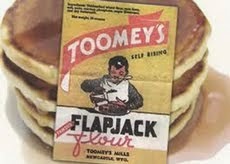 He, too, is buried in Rosehill Cemetery.